i. 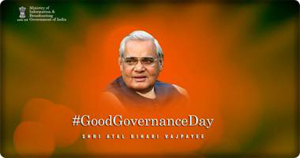 Former Prime Minister Atal Bihari Vajpayee’s birthday is being observed as Good Governance Day today who has turned 92 today. Good Governance campaign will be launched for 100 days starting today. f) EO App on iPhone Operating System and launching of redesigned website of Department of Personnel and Training. i.Christmas is a Christian Festival and an international holiday which commemorates the birth of Jesus, the central figure of Christianity. Jesus was incarnation of god in the form of ‘Son of God’. ii. 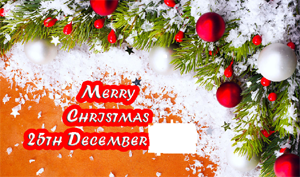 As per Western Christianity, Christmas falls on 25th December but as per Eastern Orthodox calendar this day falls on 7th January. The Christmas celebrated by Protestants and Catholics is widely accepted and celebrated than the Eastern Orthodox Christmas celebrated on January 7.
i. The government today launched a host of online initiatives including a mobile App ‘Smart Consumer’ and an ‘Online Consumer Mediation Centre (OCMC)’ to provide speedy redressal of consumer grievances. ii. 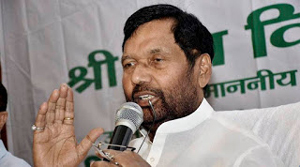 The initiatives were unveiled by Consumer Affairs Minister Ram Vilas Paswan at a function in New Delhi on the occasion of National Consumer Day today. A helpline 14404 was also launched for conusmer related grievances. iii. Speaking on the Mr Paswan said, this is the age of technology and educating the consumer and redressing his grievances in this digital world is a challenge. i. 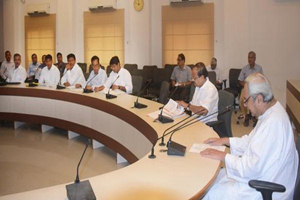 The Odisha Cabinet approved six proposals last evening at a meeting, chaired by Chief Minister Naveen Patnaik, in Bhubaneswar. ii. Briefing media, Chief Secretary Aditya Prasad Padhi said, the Cabinet has decided to name all Lift Irrigation projects after eminent female freedom fighter Parbati Giri, nicknamed as Mother Teresa of Western Odisha. iii. 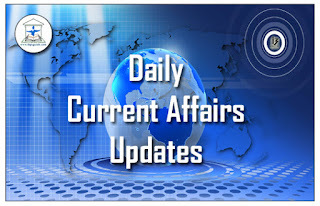 The Chief Secretary said, the Cabinet also approved 13 lift irrigation projects that would come up in eight blocks in Mayurbhanj district and one project in Keonjhar district of the state at a cost of 7,600 crore rupees. iv) Besides, the Cabinet has approved mega sanitation project for Rourkela city and extension of VAT relaxation on Dal till March 31 next year. 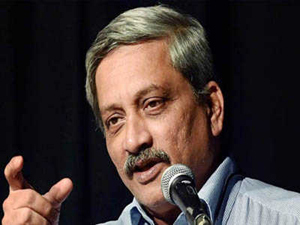 i. Defence Manohar Parrikar inaugurated the 62nd national convention of the Akhil Bharatiya Vidhyarthi Parishad (ABVP) in Indore yesterday. ii. The 4-day convention will witness series of activities and discussions on current education scenario of the country. Veteran dancer and Padma Vibhushan Sonal Mansingh also present on this occasion. iii. AIR correspondent reports, Defence Minister emphasized on importance of knowledge and education for young generation. He told students that knowledge does not come from acquiring degrees. It should be necessary to keep learning. 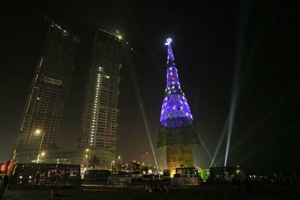 i. Sri Lanka has unveiled a towering Christmas tree, claiming to have surpassed the world record for the tallest artificial Christmas tree. ii. The 73-meter (238-foot) tree, built in capital Colombo, is 18 meters taller than the current record holder. iii. The tree’s steel-and-wire frame is covered with a plastic net decorated with natural pine cones, 600,000 LED bulbs and topped by a 6-meter-tall (20-foot) shining star. i. 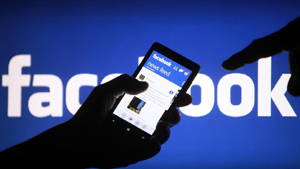 Social networking giant Facebook received 6,324 requests from Indian government agencies for 8,290 users/accounts in the first half of 2016.
ii. This is the second highest after the US, which made 23,854 requests for 38,951 users/accounts during January-June 2016, according to Facebook’s Government Requests Report. i. The Defence and Research Development Organization, DRDO has successfully flight tested the Smart Anti-Airfield Weapon, SAAW, from an Indian Air Force aircraft. In a statement today, the DRDO said, the flight test was conducted at the integrated test range in Chandipur, Odisha yesterday. ii. 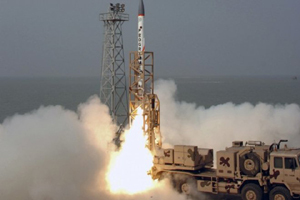 SAAW is an indigenously designed and developed 120 kilogram class smart weapon, developed by DRDO. It is capable of engaging ground targets with high precision up to a range of 100 kilo metres. The light weight high precision guided bomb is one of the world class weapons systems. i. The ICC may have left Virat Kohli from its list of best players of 2016, but the Mecca of Cricket – Lord’s Cricket Ground – have placed him in the No.1 spot in their list. Three other Indians including R Ashwin, Cheteshwar Pujara, and Ajinkya Rahane have also found themselves into the list. ii. Indian Test skipper Virat Kohli took the No. 1 spot on the back of an astounding run in 2016 across all three formats of the game – he took India almost singlehandedly to the T20 semifinal and made amends in the Test format also for his comparatively poor record until this year. iii. Kohli also capped the year off with the Player of the Series award in the Test series against England. i. Sixteen-time world champion Pankaj Advani has ended the year on a high by bagging the National title in 6-red Snooker, the shorter format of the game. ii. 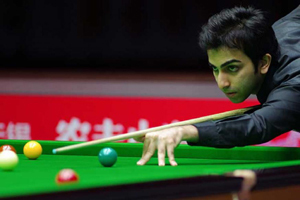 In the final in Mumbai today, Advani was up against local youngster Ishpreet Chadha. The multiple world champion overcame his junior opponent 7-4 in a strong display of potting with finesse. iii. Advani reclaimed the title, which he had won during the inaugural edition in Bangalore in 2010. He is the only player in the world to win all titles — National, Continental and World — in 6-red Snooker. iv) Advani is now the strongest contender for qualifying for the Asian and World Championships in 6-red Snooker in 2017 to represent India. 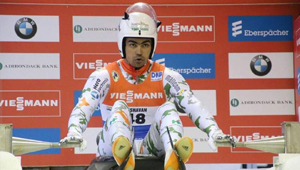 i. India’s seasoned Winter Olympian Shiva Keshavan clinched a gold medal at the Asian Luge Championships today after finishing the 2 heat race with a time of 1 minute, 39.962 seconds and top speed of 130.4 kilometres per hour at Nagano in Japan, today. ii. Japan’s Tanaka Shohei came in second for the Silver with a combined time of 1 minute, 44.874 seconds and top speed of 124.6 kilometres per hour. The bronze medal was claimed by Chinese Taipei’s Lien Te-An, who clocked 1 minute, 45.120 seconds, with a 126.3 kmph top speed. iii. Shiva is slated to take part in the 2017 World Championship in Innsbruck, Austria, and will compete in the World Cup circuit in the lead up to the qualification process for the 2018 Olympic Winter Games in Korea. 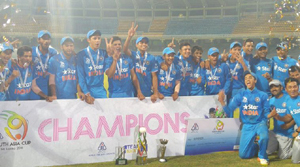 i. India dished out a clinical performance to beat hosts Sri Lanka by 34 runs and lift the Asian Cricket Council Under-19s Asia Cup title. ii. Opting to bat after winning the toss, India Under-19s first posted a competitive 273 for eight in their 50 overs and then rode on its spinners fine bowling effort to bowl out Sri Lanka Under-19 to 239 in 48.4 overs in Colombo last night. iii. The first five batsmen, especially Himanshu Rana,71 and Shubman Gill 70 were instrumental in laying the foundation for India’s total, which in the end turned out to be too much for the islanders to overwhelm. i. Dinanath Bhargava, a co-artist in the team that sketched the national emblem ‘Lion Capital of Ashoka’ and decorated the pages of the Constitution’s manuscript, died at the age of 89 in Indore. Bhargava was suffering from cardiac ailments since the past decade. ii. Born on November 1, 1927 at Multai in Betul district of Madhya Pradesh, Bhargava was chosen by noted painter Nandlal Bose, then the Principal of Kala Bhavan Shanti Niketan, in the group for designing the pages of the Indian Constitution’s manuscript. The national emblem of India was adapted by the Government of India on 26th January1950.